She may be less than five feet tall, but Héloïse Letissier commands a mighty on-stage presence, endearing and quirky yet very much in charge and assured. I’m guessing that state of mind only came with life experience, but her worldly-wise sensibilities remain couched in that innate sense of fun, her professionalism still wrapped up in natural charm. 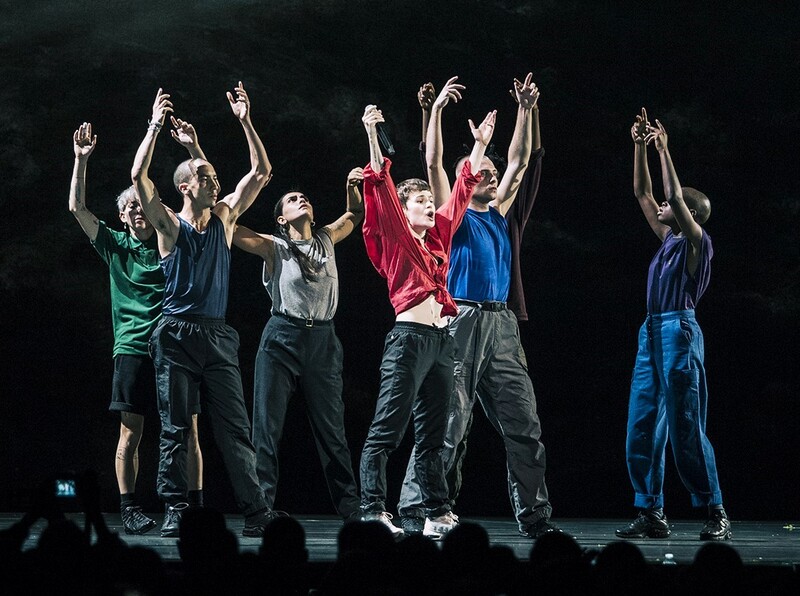 And the current eye-catching Christine and the Queens show works on many levels, as much a theatrical performance as a dance production and as much an intimate evening with a highly-skilled chanteuse as a master-class in empowerment, one extolling that proud maxim of being yourself. Song-wise, we got the majority of her first two albums – 2014’s Chaleur Humaine and 2018’s Chris – and brief snippets of Janet Jackson’s ‘Nasty Boys’, a perfect bolt-on to ‘Damn (What Must a Woman Do? ), and brother Michael’s ‘Man in the Mirror’, concluding a celebratory acapella ‘Nuit 17 à 52’. That Jackson sibling spirit was there from the start, but this was no tribute show, Chris – choreographer as well as singer, musician and producer – and her half-dozen Queens putting their own stamp on acrobatic, multi-paced, highly-physical moves that are perfectly synchronised yet seemingly free-form. Maybe I’m just taking into consideration Héloïse’s heritage, but I see something of French-Canadian theatrical troupe Cirque du Soleil in there, and even Royal de Luxe, the tour company from her home city of Nantes behind the Giants production that recently thrilled Liverpool. And it’s a cliche maybe, but seeing as that’s a French word too, I sensed an accomplished air of Gallic flair throughout. The latest LP’s first single, ‘Girlfriend’ saw her soulfully shift up the gears on the tail of energetic opener ‘Comme Si’, while later on further Chris 45 ‘Doesn’t Matter’ smouldered, Wendy & Lisa style, en route to that album’s finale ‘The Walker’, our freak-pop auteur and star-turn building to a mighty finish, providing the same vocal might she gave us earlier on the surging, gender-bending ‘iT’. 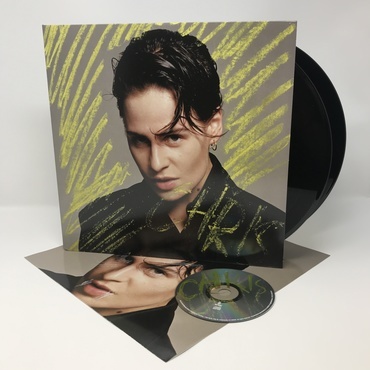 On ‘Le G’, as with ‘Girlfriend’, I heard traces of Scritti Politti, circa Cupid and Psyche 85, and while her nationality and stagecraft brought to mind Nouvelle Vague’s Camille Dalmais and her inner chanteuse put Edith Piaf in mind, there were also hints of Dolores O’Riordan, Sinead O’Connor and the inventive spirit of Kate Bush for me. There were many more moments to savour, Héloïse – with Jeanne d’Arc-like short-cropped hair – playing to her vocal strengths on a solo ‘Paradis Perdus’, then shedding her red top, her back to us in her black bra as she sensuously gyrated at the rear of the stage, building to a climax on ‘Here’, seemingly lost in her own world. And at no point was she out of breath, for all her moves. The shifting stage made for a mighty spectacle too, the band split into two like a battered ship in a tempest, the crash of the backdrops – first a mountain valley, then a wild sea – and the fall of snow then sand adding further drama, as if any more were needed. Yet the cinematic and theatrical touches would be merely gimmicks without the songcraft and between-number conversation, her pre-amble about giving up the urge to fit in before launching into ‘Tilted’ a nice touch. And the latter, her finest musical moment so far, is clearly a state of mind for Héloïse’s alter-ego, Christine and her team moving as one, the entertainment factor notched up another level after one particularly smoking scene with that night’s dream Queen, Chris storming back on stage to rage, ‘Hey, I’m not joking anymore! Who can give it to me?’ before lustfully launching into ‘Damn (What Must a Woman Do?). All night she teased and flirted, but above all she endeared herself to us, a truly positive role model in the bargain. And while she’d just sold out a prestigious Manchester venue twice over, she was determined not to come over as self-congratulatory or self-indulgent, successfully retaining a level of intimacy, revealing, ‘I feel I can trust you more now’ late on. Then came a memorable encore, inspiring double-takes a-plenty as she climbed the stairs to join us in the Circle, making towards the balcony, her Queens sat behind catching collective breaths, as she charmed us with ‘Sainte Claude’. Then she was off again, bounding up the steps, inspiring a Mexican wave of sorts, a veritable tsunami of smiles, before disappearing from view again, heard chatting over the PA, eventually reaching the throng of the floor, where she worked out to intense yet intimate show-stopper ‘Intranquillite’. Think musique maison, our special club girl giving it her all among adoring fans before clambering back on stage, her entourage duly following. Next year, apparently, she promises not only tenderness and empathy but also continued craziness. And I think it’s fair to say we’re all up for that. Au revoir, Chris. Adieu, Héloïse. Come again soon. Photographs courtesy of Christine and the Queens’ Facebook page. You can also keep in touch via Chris’ Twitter and Instagram addresses. Brought to you with a respectful nod to Rob Kerford at Sonic PR. 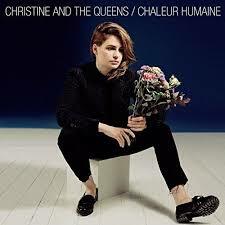 This entry was posted in Books Films, TV & Radio, Comedy & Theatre, Music and tagged Camille Dalmais, Chaleur Humaine, Chris, Christine and the Queens, France, Girlfriend, Héloïse Letissier, Janet Jackson, Michael Jackson, Nantes, Tilted. Bookmark the permalink.